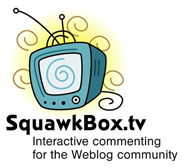 SquawkBox has a growing range of features for both Basic (unpaid) and Pro (paid) accounts. Check back regularly to see details of new features. Or, if you don't see a feature listed that you want post the details in the Feature Request forum. #Click here for $/€ pricing.